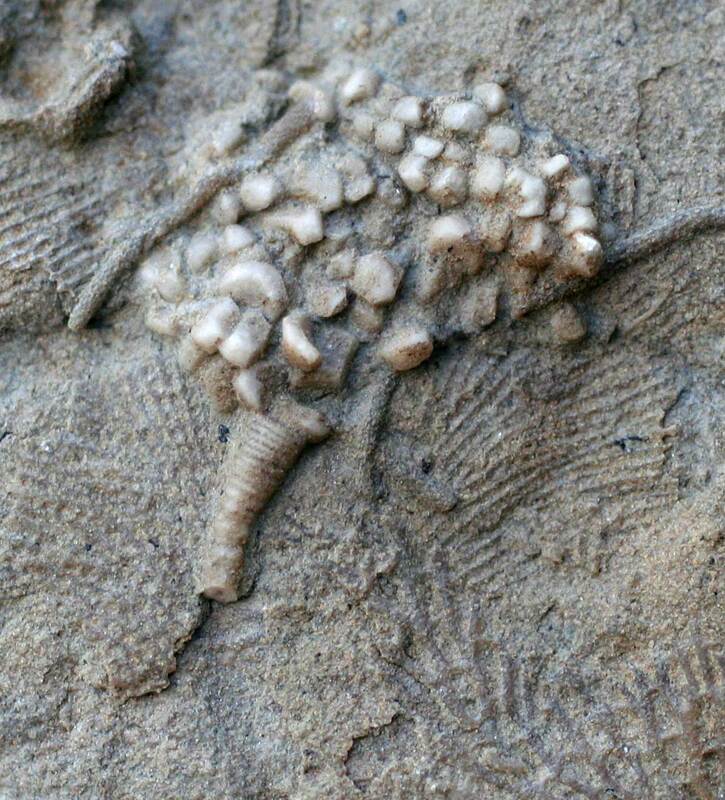 This unidentified crinoid calyx reminds me of the vegetable cauliflower. It was found in the Indian Springs Formation of Crawford County, Indiana. The limestone dates back to the Mississippian Period. 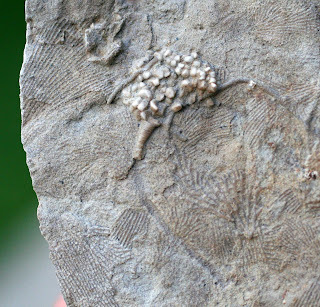 Another detail I like about this fossil plate is the indentation of where a longer portion of the stem was on the matrix. You can see how it was laid over the Fenestella bryozoan causing it to dent.